An American kid I met in Phnom Penh today told me Korean language was not difficult. He said, “Easy to read, easy to write.” I told him, “The alphabet is easy. But Korean is the single most difficult national language in the world, rated category 6 by Defense Language Institute.” He disagreed, and repeated that Korean was easy. This is a pet peeve of mine. People who tell you Korean is easy are either: lying, insane, comparing it to nothing, or, as is the most common case, speak it at an incredibly superficial level. With 12 registers of common speech, Korean is incredibly complex and difficult to learn to any significant level of fluency. But, to determine the difficulty of learning a particular language we don’t need my opinion or his. Every expert source I have checked has listed Korean in the highest band of language learning difficulty. The National Security Agency (NSA) classifies Korean as one of the most difficult languages to learn. Defense Language Institute (DLI) ranks Korean as category 4, the highest level of difficulty, requiring 64 weeks to learn. Arabic and Pashto are also category 4 languages, but somehow no one ever says that Arabic and Pashto are easy to learn. The Foreign Service Institute (FSI) rates Korean as a category 5, the hardest category in their system, requiring 88 weeks to learn. On the same scale, Pashto was category 4, requiring only 44 weeks to learn. Apparently, some experts think Pashto is easier than Korean, and yet no one ever says that Pasto is easy. The Cranberry Letter rates Korean 9/10 in difficulty. On the same scale, Mandarin was only 8/10 and Pashto only 7/10. Anyone who tells you Korean is easy could probably master Pashto in a matter of weeks. Most people who tell you Korean is easy are generally basing this evaluation on the writing system. The Korean alphabet, Hangul, is a phonetic writing system, which includes only 24 letters, and can be learned in a day or a week, misleading beginners into believing Korean language is easy. English also has an alphabet of less than thirty letters, as do most western languages. Does this mean that if you have knowledge of the Latin alphabet you can say Hungarian is easy? While claims that Korean is easy will set me off like a firecracker, another way to send me into a ballistic fit is to tell me that a language is difficult which is actually easy. It is common knowledge that Spanish is one of the easiest languages for English native speakers. Actually Dutch and Afrikaans are the easiest major languages (Major language being the national language of a country) for speakers of English. But Dutch and Afrikaans aren’t languages widely studied outside of their home country. For most US Americans the first choices for language learning are French or Spanish, whereby Spanish is the easier of the two. Spanish is linguistically easier than French, easier to spell and pronounce, and the cognates are more obvious. A lot of research has been done on the influence of culture on language learning. Many experts believe understanding a culture makes learning a language easier. Most Americans have a lot of exposure to Spanish language and culture, between Spanglish songs on the radio to TV shows and movies which deal with Mexico or Latin America. Or, they may have been exposed to one of the 54 million Hispanics who live in the US. All of the above factors make learning Spanish particularly easy for US Americans. But, once again, we don’t need my opinion. Let’s check with the experts. The NSA ranks Spanish as the easies of the critical languages. DLI categorizes Spanish as category 1, needing only 26 weeks to learn. FSI ranks Spanish as category 1 and requires only 23-24 weeks to learn. As for my friend’s claim that Spanish has more words than English, this is also false. Nearly every reliable source you can find will tell you that English has more words than Spanish, by a tremendous margin. The Global Labguage Monitor sets the number of words in the English language at 1,025,109.8. “It has been estimated that the vocabulary of English includes roughly 1 million words” (Merriam-webster.com, 2015). A CNN report claimed that “web 2.0” which was officially added to the English language in 2009 was the one millionth word. (Sutter, 2009). If we look at the most authoritative dictionaries of the two languages, we can see that The Second Edition of the 20-volume Oxford English Dictionary	171,476 words in current use, and 47,156 obsolete words; 615,100 definitions, whereas, Diccionario de la Real Academia Española has 100,000 words. Centro Cervantes recognizes DARE as a source, suggesting that there are 93,000 words in the Spanish language. (Bernárdez, 2014) The same article goes on to explain the obvious difficulty of counting how many words there are in a language, do plurals and singulars of the same word count twice? What about verb conjugations? Given the various methods of counting, Centro Cervantes came up with a variety of figures, the largest of which was 500,000 words, still only half the number in the largest estimates of the English language. Learning any language takes a lot of hard work and dedication. And most people won’t master more than one second language in a lifetime. So from that standpoint, we could say that all languages are hard to learn. But the relative difficulty of one language over another is not based on opinion or personal experience. Experts have spent years and years comparing and analyzing languages and have come to very similar conclusions. By any ranking system in existence, Spanish is one of the easiest and Korean is one of the most difficult major languages to learn. And without any doubt, my Amercan friend who said Spanish is hard, should NEVER attempt to learn Pashto. I have a new hero, Jigoro Kano, the founder of judo. While I don’t always love judo, I find this man to be one of the truest poet-warriors in the classic sense, in the same category as Mas Oyama, the founder of kyokushin. Jigoro was a school teacher, with a master’s degree, who spoke English perfectly and studied the Chinese and Japanese classics extensively. In Japan, he is not only known for his tremendous contribution to the world of martial arts, namely, the invention of kodokan judo, but he is also known for modernizing the Japanese education system, as well as being the father of physical education in Japan. 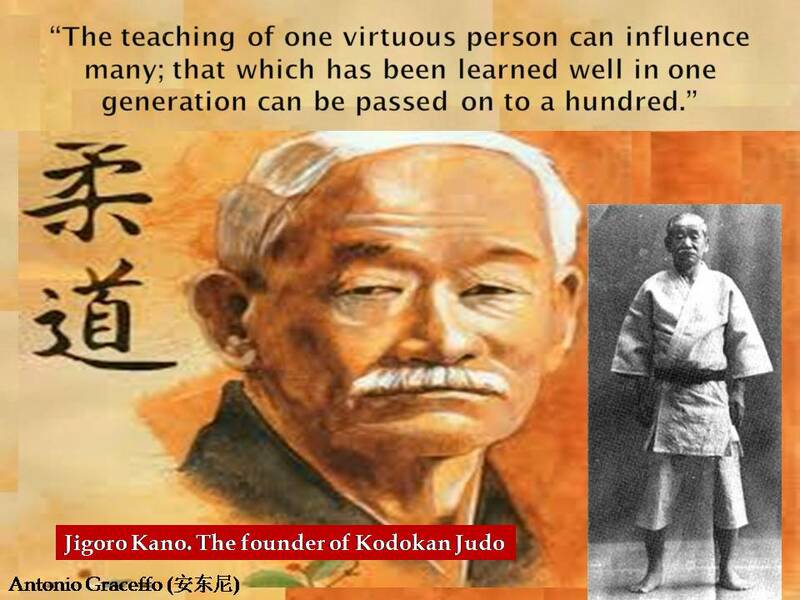 He dedicated his entire life to a small handful of noble pursuits, study, teaching, training, and passing on both the secrets of kodokan and a moral code by which he wished his students would live. It is interesting that I don’t like the art of judo that much, because it doesn’t suit my personality. But I enjoy reading about judo, and particularly about its founder, Jigoro Kano, so much, that I am considering going to Japan for training. On a map up, we have all accepted that up is North (Actually, as a map is 2D, we have accepted that forward is both up and consequently North. Up would take you into a third dimension and off the map. ).There is no reason for that. We just all agreed on it. But, when you go to a culture that isn’t familiar with maps, not only will they not know this, but they will ask you “why?”. And you will be unable to explain it, because you simply take it for granted. Once, when I was teaching class in Germany, I went to point something out on a world map and was very embarrassed because I was having trouble orientating myself. This, of course, confirmed for my students, the prejudice that Americans are ignorant of world geography. The issue, I eventually figured out, was that in the US, America is at the center of a world map, and all other countries orient off that center. When I explained this to my German students, they attributed this fact to American nationalism, as everyone knows Germany is meant to be at the center of a world map. If the Middle East were nearer, would we have a different relationship with the policies we make? Eventually, after having taught in so many countries, I realized that each country places itself at the center of its world map. Now that I know this, it makes perfect sense. Since, you would generally be looking at the world from your own country, facing out, the world is oriented off of your starting point. But knowing this still made it difficult to use maps when I later lived in Asia. Picture a world map where East Asia is the center, Europe is on the extreme left and America is on the far right. The first time I saw that, I asked “America is East of Taiwan?” But, the globe is a circle. I guess we could argue that any point is East of any other point. There is one more perception for you. Where does East end and West begin on a circular object? And why? Let’s add to this that the Earth is not actually a circle, we have just decided it was convenient to draw it that way. In the truest sense, the way a country makes a map demonstrates how that country perceives the world. In the West, we read left to right, top to bottom. In other cultures they read right to left. And the front cover of the book is the back cover. But even in the west, the left to right across the page rule doesn’t always hold. A newspaper, for example, is read in vertical columns. I once had a class in Cambodia whose reading level was quite high, but the whole class failed a reading comprehension exam which was based on a newspaper text. They didn’t know to read a newspaper in columns, rather than straight across the page, left to right. On the highway in America, arrows telling you to continue straight ahead, are actually pointing up into the sky. “Next rest stop, this way.” Does America have flying cars? Obviously, there is no wrong or right. But these types of perceptions, these prejudices that we have are so deeply instilled that we aren’t even aware of them. And, when we encounter a culture which sees the world differently, we either can’t understand or can’t imagine that people perceive the world in other ways. An endless collection of these types of perceptions compose our relationship to and understanding of our native tongue, and to language in general. We carry these perceptions with us into foreign cultures, and then wonder why we have difficulty understanding our foreign friends or learning a foreign language. My regular Chinese teacher, who I like, went home for the holidays and said his friend Huang Hainan would teach me. Sadly, Hainan and I started off on a bad foot. When Hainan wrote to introduce himself, he did so in English. When I called him on it, he said, “We Chinese believe foreigners like to speak English.” If you want to see me fly into a rage, use the explanation “We Chinese people…” as if he was appointed to represent all 1.3 Billion of them. And, since I am usually the first foreigner any of these people meet, where would this belief come from? All this while, I was cutting him slack because he is an English major at a sports university. This tells me he is probably not on the cutting edge of intelligencia There are a percentage of non-sports majors at our sports university, and I have always wanted to meet these people that the athletes know exist and have many legends about, but no one has ever seen. To get into university in China, kids have to pass a national exam, called the gaokao. A high gaokao gets you into a better university….a low gaokao gets you into a sports university. Can you imagine being an English major at a sports university? Not only does everyone think you must be an idiot, or you would be at a real college somewhere, but also, you are surrounded by people who are bigger, stronger, tougher, better looking, and who, in a way, represent the top echelon of their world. There are 6 million kids studying in sports schools in China, but only about 20,000 spots at sports universities. So, the athletes here are proud to be here. The English majors must feel like complete failures, not to mention that everyone from the administration, to the staff, to the athletes have no idea what to do with them. Anyway, I didn’t want to judge Huang Hainan too harshly. And I still needed a Chinese teacher. As most people have already gone home for the holidays, there weren’t many choices left for me on campus. Largely, the only people left on campus were the professional sports teams. 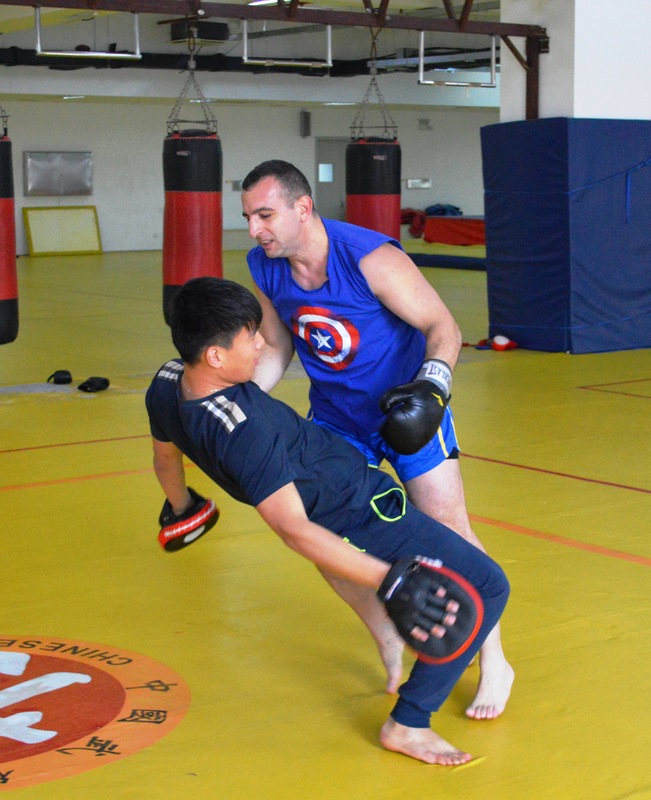 As bad as Huang Hainan was, I figured he was still a better Chinese teacher than most of the athletes. This week, the university began to operate on holiday schedule, meaning the training halls close early, at 5:45 immediately after the pro teams fnished their training. 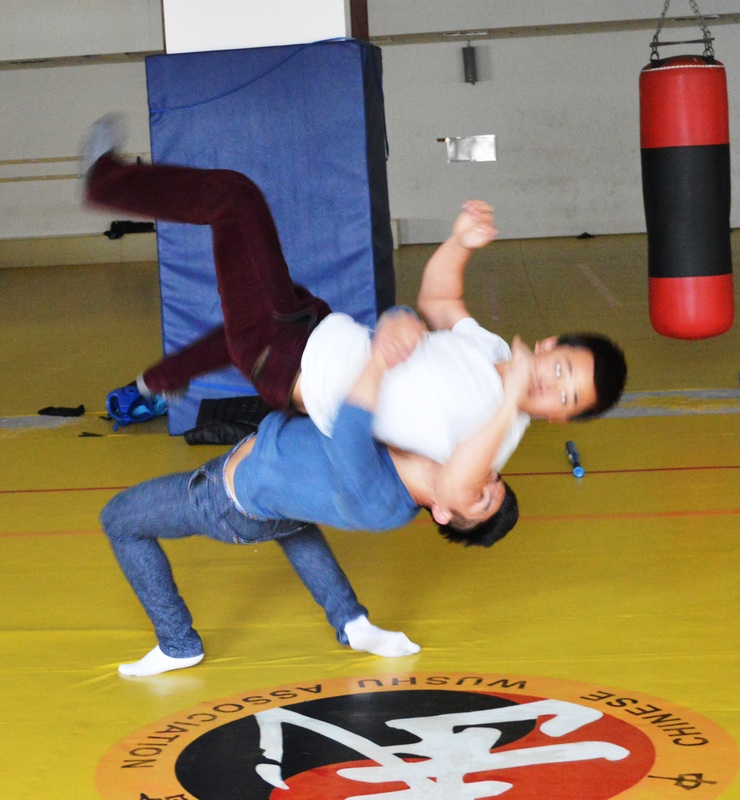 I normally have wrestling at 5:45, but now my wrestling training has been moved to mornings, which meant changing my Chinese class to the afternoon. This schedule is les than optimal for me, because I hate having Chinese class AFTER training. I am usually just too tired to pay attention. He wrote me about five more times to confirm the class for the next day. 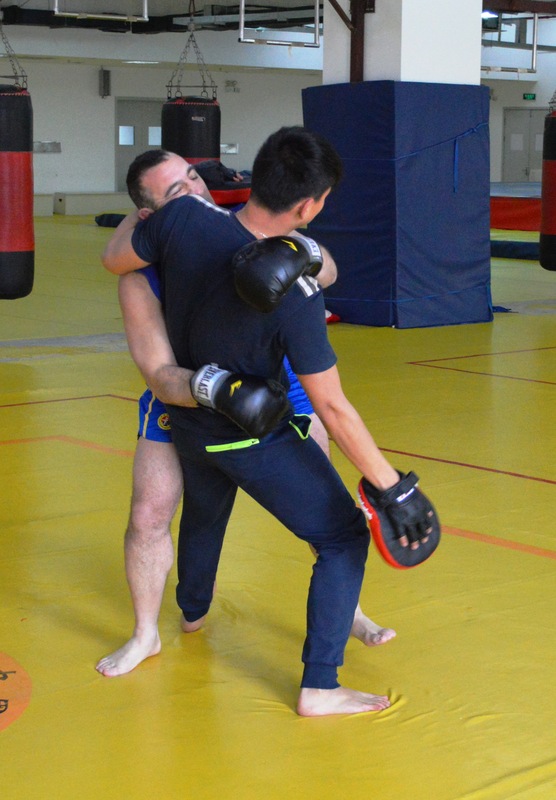 The next day, when I finished wrestling, I was just too tired to think of having Chinese class, especially with Huang Hainan. So, I cancelled. He sent a text asking if we would have class the following day So, I cancelled that one too. Next, he texted and asked if there was a problem. I didn’t answer. An hour later, he sent texts with little emodicons of smiley faces and pictures and asked if there was a problem. But I didn’t answer. I wrote a short reply, “You’re an idiot.” But I didn’t have the balls to send it. I have no idea where to even begin to respond to this, and don’t know if will. I find that Chinese students, in general, have very low emotional intelligence and are extremely socially awkward. I have a theory that the reason prostitution is so common in China is because none of them are charming enough to get a woman to sleep with them. Having said that, I find the athletes to be relatively normal. I think the years of hardship, living away from their families, training six hours per day, since age 12, has hardened them. They are less fussy. Also, they are much happier and alert than the average Chinese student. Huang Hainan is a product of this insane system of study only, and study to the exclusion of every other experience in life. I still might beat him up, though. 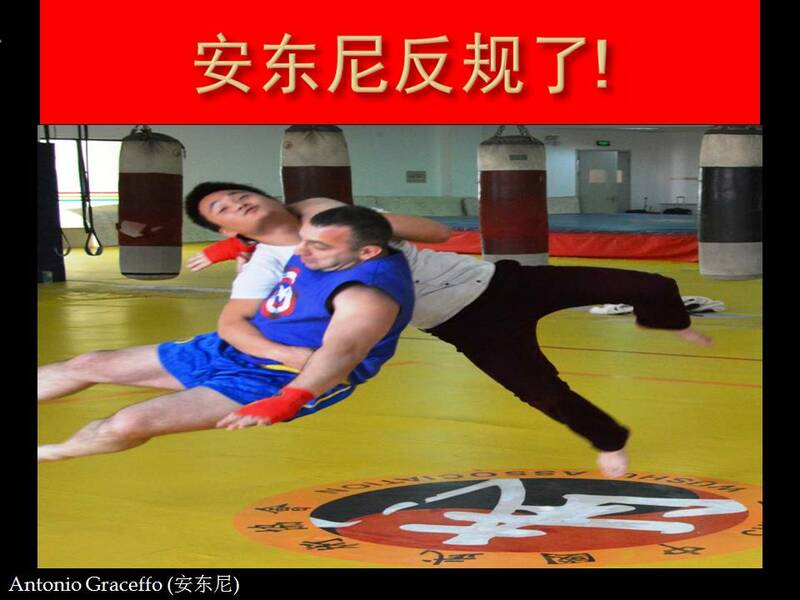 Antonio Graceffo’s wrestling teammate, Zheng Tong, at Shanghai University of Sport interrupted Antonio’s san da training session, asking him to help film a movie-style fight scene. Although great at real wrestling, they had no clue about movie fighting. The final scene lasted about 8 seconds but took over an hour to shoot.